Your designer may have very definite opinions about what does and does not constitute an appropriate layout for professional or eCommerce websites. If you have chosen well, your designer likely has the experience to support their preferences when it comes to tailoring your website. We can assume that you, the client, are not a professional web developer and therefore cannot possibly be well versed in the details of what goes into these projects. Your designer might be counting on that. Because we are looking out for you and your best interests, here is a little insight into what influences a successful web page layout. You are not paying your designer to create a site that someone else has shaped for their own, so don’t settle for cookie cutter layouts. Left-column navigation format is standard in web design. There is an up-side and a downside to this style of navigation and that is because left-column navigation is simple for designers and familiar to visitors, but it lacks all ambition or creativity. Consider also that our eyes scan from left to right when reading; therefore, the use of right-column navigation would allow the visitor to view the main content first. This can be a refreshing change, but ensure that the page is balanced in terms of content, white space, colors, and graphics because the page will already appear unique upon first glance and any lack of planning on your designer’s part, will be distracting to the viewer. then consider designing a 3-column layout. This layout features an expanded center column that is flanked by two narrow columns for navigation. Effective use of white space is essential with 3 column designs in order to avoid the clutter and confusion that could overwhelm and drive away site visitors. There also exists the alternative of displaying page content all by itself, utilizing a header and footer for navigation. 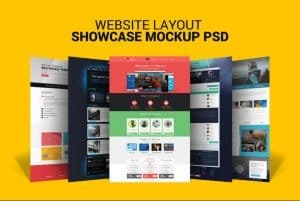 These layout options are the most preferred by dynamic web designers and their clients, but your website designer might suggest a variation in order to best represent the content on your site. No matter which layout you choose, remember that effective use of white space promotes eye movement. A skilled designer will design your page so that the reader is drawn to the most valuable information. Fixed width: remains a specific size regardless of the width of the browser that is viewing the page. This creates a lot of wasted space when the website is viewed on a high-resolution screen, but it gives the designer more control over how a site will appear to the viewer. Liquid/ variable fixed width: the width of the page is flexible depending on the width of the browser. The site will be generally easy to view for visitors that have lower or higher resolution screens. When planning your website layout, it can never be said too often that you must put a great deal of effort into creating balance when including graphics such as animation and still images. Without balancing graphic images with white space, the page will appear chaotic and difficult to read, if your visitors bother to try at all. Consider carefully before you settle on your layout’s style of navigation and width. Ask your designer’s advice regarding the importance of your visitors’ ability to skim your content and find what they are looking for, and to perform functions on your site such as signing up for newsletters or purchasing an item or service through an online checkout. Keep in mind that the layout style you choose will influence marketing, business branding, advertising space and the overall image and appeal of your website. Get started today, and get a website layout that pays out big rewards!